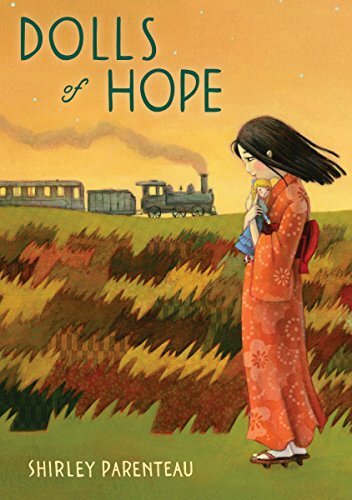 Dolls of Hope is a compelling novel that mixes history with fictional characters. Chiyo Tamura is sent to a school in Tsushira, Japan, when she is thought of as not cultured enough. As soon as she arrives, she makes many friends, but also an enemy. Soon the word arrives that six girls are going to be sent to Tokyo to welcome the Friendship Dolls coming from America. Chiyo is one of them. After saving a doll, Chiyo is named protector of the doll Emily Grace, the doll that would be sent to her school. After much publicity, Chiyo and her class meet the doll maker, who models Chiyo’s face as the face on one of the fifty-eight dolls being sent back to America. When they arrive back at the school, Chiyo is accused of harming the doll after evidence was found. This book is one of the most concise novels I have ever read. The combination of adventure in a new place and the exciting mysteries of what is to come makes a book that grabs your attention and holds it there. Chiyo is this high-spirited, brave girl who comes to a strange school to learn new things and tries to make the best of any situation, even in the worst of times! This is a book I would read over and over again because I feel a connection with the real world, with history, with fantasy, and with the heart, soul, and mind the author put into this book that makes it worthwhile to read. I guarantee you, the second you pick this book up and start reading it, you won't be able to put it down. Happy Reading! This is a fun book for people of all ages, so there is nothing offensive involved.